15 Books campaign is an initiative to have students read more and to create a culture of reading. The campaign strives to foster the love for reading among students, teachers and staff. They have the freedom to select books based on their personal interest. However, the campaign has specific guidelines to ensure every student, teacher and staff reads and the culture of reading is sustained. Introduces the nuances of writing and encourages students to collaborate and create their own written texts for a variety of purposes. Students are encouraged to explore writing as a passion, hobby and a possible career option. They are taught a new word every day to improve their vocabulary. This is a fun activity called “Word of the Day”. To build a healthy body that can ensconce a healthy mind, Shishya BEML Public School has been equipped with expansive playgrounds. We have invested in infrastructure specifically designed to satisfy the physical training requirements of the students. 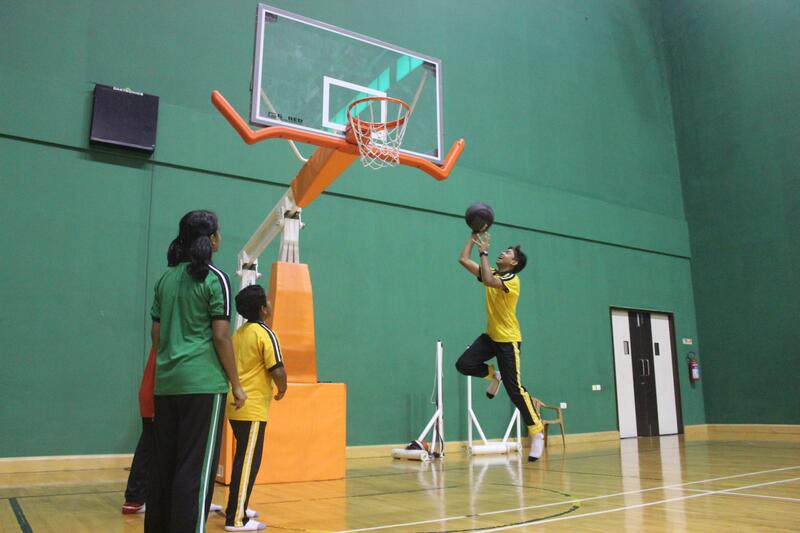 As a result, there is space and provision for all kinds of sport – cricket, basketball, football and volleyball. Our students are trained by an experienced coach. To improve and boost their mental health, students are taught and encouraged to practice yoga. Our sports curriculum is curated by our sports training partner – EduSports. They ensure that all students build the essential skills required to pursue any sport of their choice during the academic session. Students are also mandated to participate in health check-ups to maintain their health. Hungama: Hungama is an annual school event that takes the form of a fun festival or a fete. Taking place around Children's Day every year. This is a rare opportunity for children to plan and organise their own activities and events. On this day, rules and regulations are relaxed and the notion of childhood itself is celebrated with carnival-like fervour. Tirangaa: An annual event that acts as an inter-school platform. 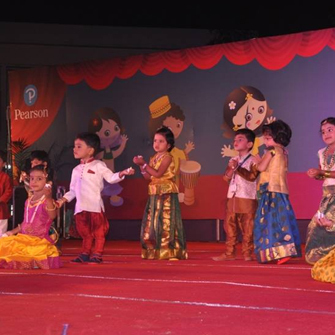 Tirangaa allows children to showcase their literary, artistic and musical talents. The event revolves around a specific theme, often with national connotations. 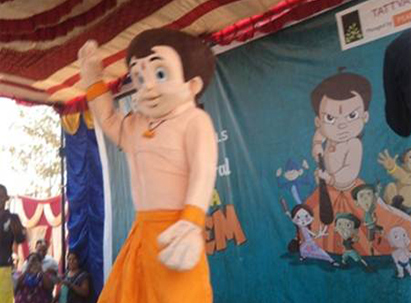 It gives children an insight into Indian culture, seamlessly integrating learning with fun. Quiz Champs: A nationwide inter-school quiz championship is organised to improve and expand students' breadth of knowledge. It gives a platform to students to express their subject skills and gives an assessment of in-dept understanding of applications. 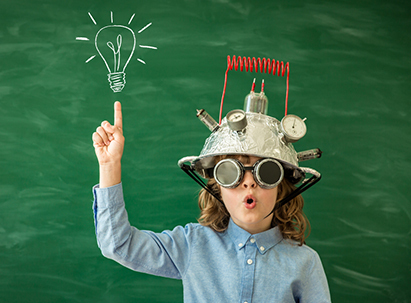 Innovation Lab fosters creativity and intellectual development through quality visual arts & hands-on experience by making students create objects of their choice. Students are taught various skills to replicate the model, such as selecting the right raw materials, making shapes & structures etc. We provide them the opportunities to understand mechanics, chemicals and encourage out-of-the-box ideas. We are committed to providing an environment in which our students can learn, thrive and grow. 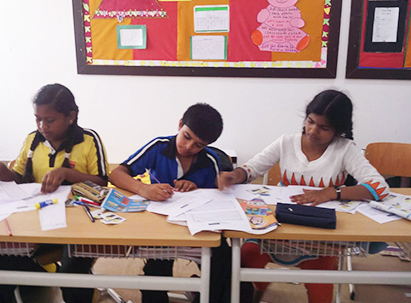 We emphasis on providing a diverse range of extra-curricular activities. 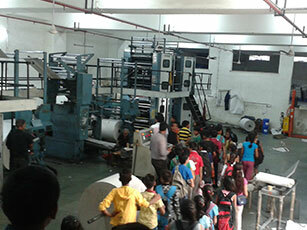 Industry / Factory visits are conducted to give the students real life experiences. Pre-primary students are taken to visit supermarkets, zoos, parks, planetariums, etc. We believe community service is essential to the holistic development of a child. Working together, kids learn to solve problems and make decisions and successfully contribute to their community. 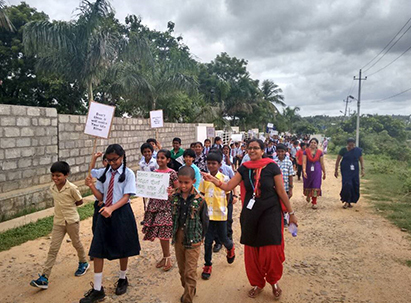 They connect local concerns with global issues and gain awareness of others. All this will serve them now and years later as they transition out of school and into the world. 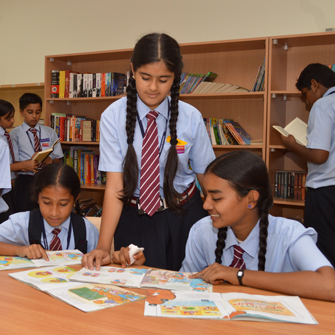 At Shishya BEML Public School we have a well-stocked library with periodicals, journals, magazines, newsletters, fiction, reference books and encyclopedias to name a few. The library also offers integrated learning programmes that include phonics for pre-primary levels and literary classics for older students. 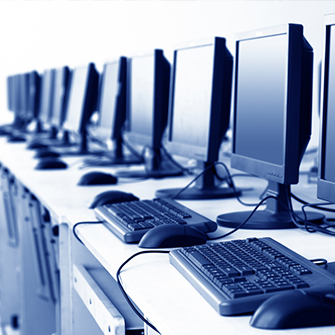 We have state-of-the-art computer labs with the latest software and hardware. We allow students to self-study and research for their class projects under the supervision of our computer lab faculties. Our students are also taught how to use the correct typing techniques while using the keyboard to improve their skills. Through music education, our aim is to foster an appreciation for music, build self-esteem, teach critical social skills, and inspire creativity and innovation. Our music lessons are taught under the guidance of trained & certified music teachers. 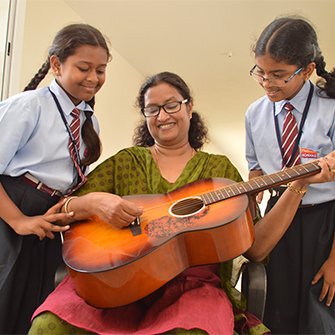 We teach students how to play various instruments like piano, keyboard, guitar, bass etc. We believe that creative expressions are the window to the soul. To showcase their talent, we ensure that our students take part in every stage of the drama-making process. From ideating the next play, to writing the script, we give our students the freedom to create something magical.